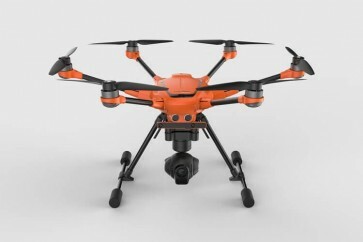 This year at CES, Yuneec released an orange beauty called the H520 and a great concept drone. The new commercial targeted drone is scheduled to be released around q2 or April, May, or June of this year. Besides its bright new color, they decided to equip the Yuneec Typhoon H520 drone with some new upgraded motors and an interchangeable camera payload system. 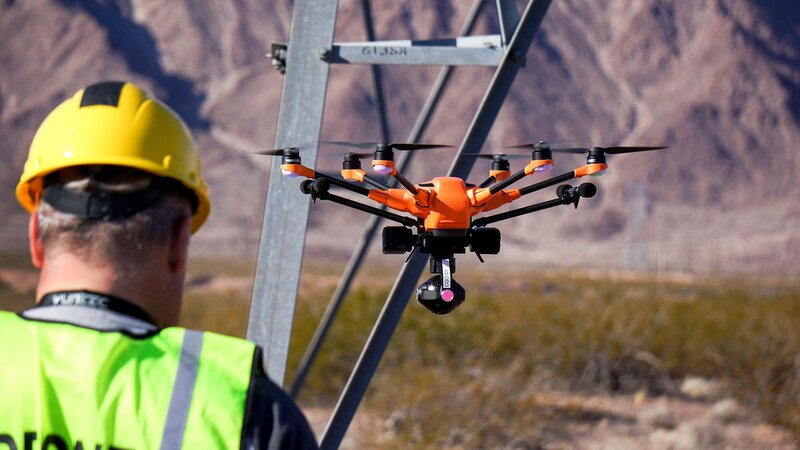 This Yuneec is geared towards the commercial aspect of cinematography, inspections for oil and gas, real estate, and general photography. What’s The Difference, And What’s Similar With This Regular Typhoon H? The overall hardware and compatibility have been boosted with this model. The frame on this is larger and the motor’s size has also been enhanced to increase stability. On paper, the H520 has an impressive 31 minute flight time, and that’s with the total weight of 1890g. Its battery is a large 6850mAh LiPo. 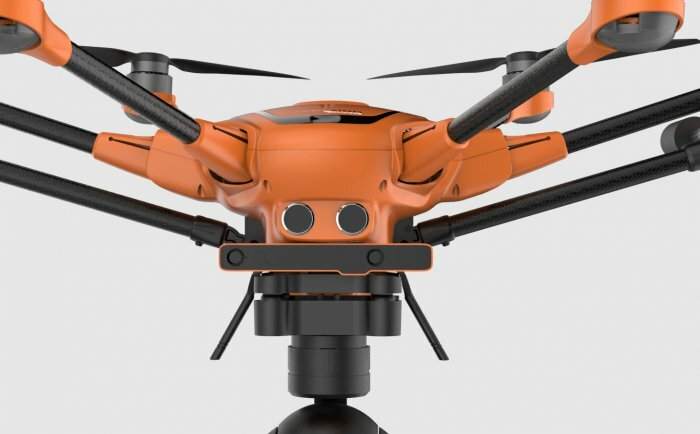 The six rotors will give the user a peace of mind with its five-rotor fail-safe feature, so this hexacopter can still fly stable with a failing motor. The ascent speed is 5m/s, while the decent speed is rated at 3m/s. The controller is basically the same with its built-in 7-inch screen. Shame that the heavy screen flaring issue has not been solved in a new Typhoon H 520. 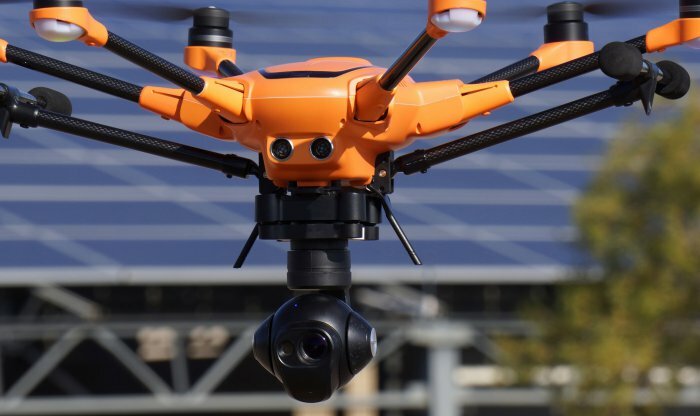 Yes, Yuneec Typhoon H520 can be equipped with a CGO-ET camera. This thermal camera option is great for search and rescue missions, firefighting, solar panel inspections, and other emergency applications. As awesome as this feature is, the representative on the floor did not clarify the range it needed to be in for the thermal camera’s effectiveness. 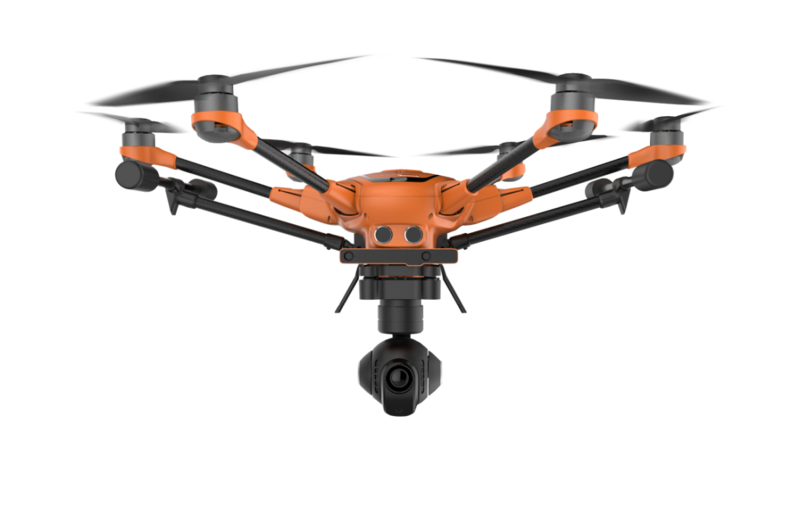 This still gives the drone a great variety of uses, and the interchangeable system will allow an easy swap for different applications. The stock CGO3+ camera can also be found on a Typhoon H, and the third CGO-CI camera option is equipped with a 50mm field of view to provide sharp and high contrast images. What’s The Price For The Yuneec Typhoon H520? The price for this drone will vary from $2,499 to $4,499, and it will depend on the camera options and Real Sense. Yuneec had a hard time competing with Phantom 4, but now, prices are jumping up to the inspire level. The specs of the “pro” level camera is important because people who are spending $2500+ USD on a drone usually need a high-quality grade shot. Yuneec’s Future Prototype In The Making! Yuneec showcased a prototype called the Valet drone. This teaser drone looks like a fossilized Horseshoe Crab, and it’s mainly made for home security, home inspections, and it is projected to even be capable for small package delivery, hence the enclosed rotor system. This concept is Yuneec’s idea for drones in the future. This will be controlled with a phone, and it will have 360-degree obstacle avoidance. H520 has been developed for commercial use. The Solution is perfect because of the long flight time, proven and robust design and multitasking a kit. Large propeller rapid installation of the system ® provide a short preparation time for the flight and low noise during operation. The increased capacity has allowed the use of additional sensors and better cameras. Its color makes it hard not to notice him. Quality is uncompromising, making it an excellent tool for everyday use. 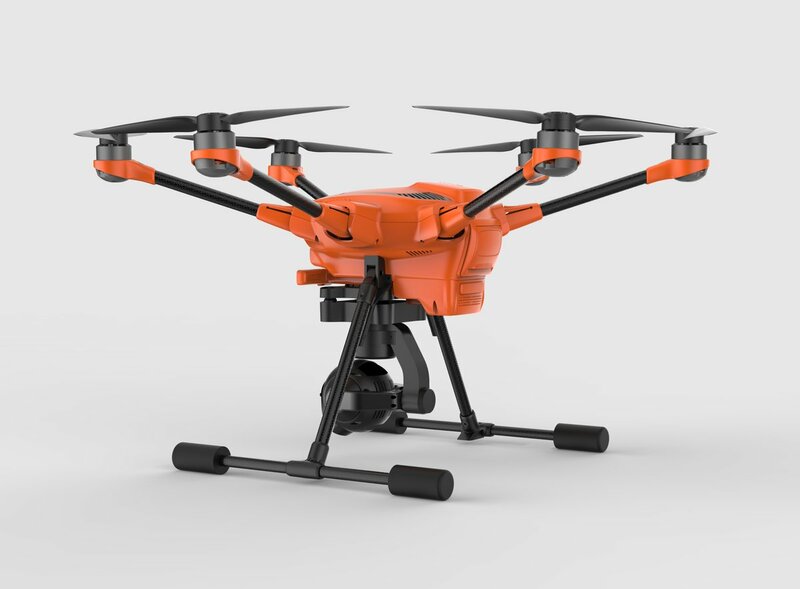 The ability to fly after the designated points, the ability to perform 2D and 3D maps, and a Software Development Kit (SDK) makes it a great solution for professional industrial applications and film. The innovative combination of ultrasonic sensors with Intel® RealSenseTM (available as an option), the possibility of an emergency flight using only five engines, control and redundancy in the 2.4GHz and 5.8GHz make the H520 is extremely safe. Capacity battery provides up to 30 minutes of flight, and if you yourself drone comes back and lands safely. 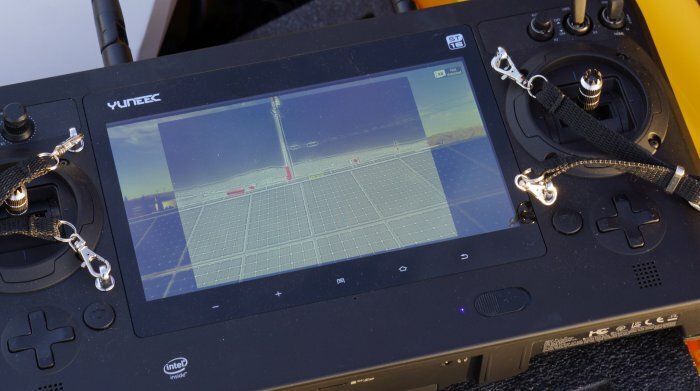 New equipment Quadcore ST16 processor and 7 "display Low-Glare provides a reliable, intuitive control and can be used for complex mission planning. H520 can be equipped with three different cameras. CGO3 + ensures smooth video recording at a resolution of UHD, while dual infrared camera CGO-ET allows filming in the infrared reading of the relative temperature of objects in the scene and shooting in low light conditions, thanks to 20-fold higher sensitivity to light than the human eye. The third camera, CGO-Cl, in turn, puts face the demands of the inspectors, experts, photographers and filmmakers thanks to the 7-piece glass lens with a 50mm narrower viewing angle. H520 may be equipped with a module Intel RealSenseTM. R200 camera is used as an "eye" drone. 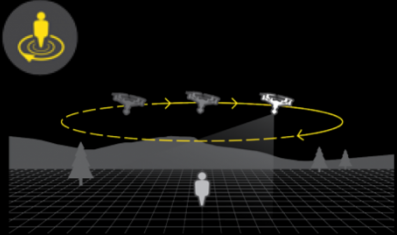 By measuring the depth of the 3D camera perfectly detects the movement and the distance of objects in its field of view, simulating the action of the human eye. By identifying objects and evaluating their distance, drones has the possibility of autonomous action. 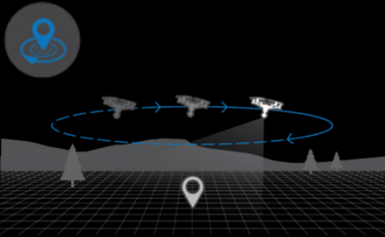 Seamlessly recognized avoids obstacles, choosing the safest trajectory. 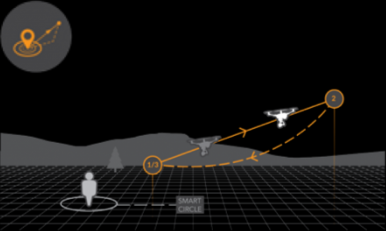 In addition, the drone remembers that flew through space, for later use for orientation in the field. 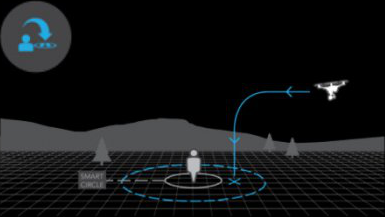 Intel® RealSenseTM stores so the location of obstacles, making it easier to avoid them in the future. The module used in the H520 is specially designed to detect obstacles at a distance, so you can more effectively avoid them. equipment ST16 is an integrated receiver, transmitter, and a modern platform based on Android. As a result, you always have full control over H520. Easily programmed the autonomous flight and do great pictures and screen shots. 7 inch touch screen display with podlgąd live webcam, so you will not need any additional equipment in order to fully exploit the potential of your equipment. 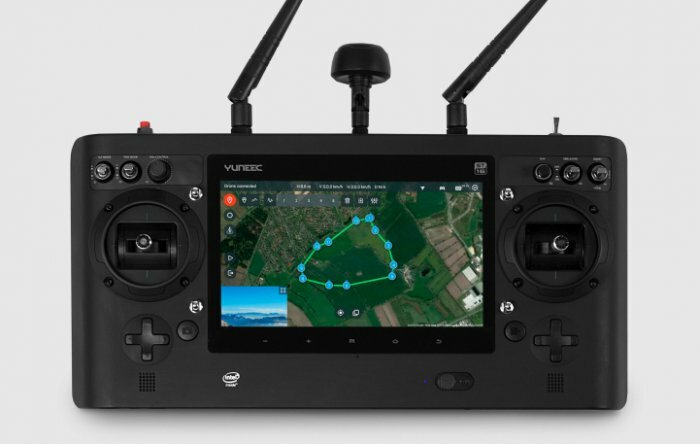 In addition, the screen also displays the live telemetry, so you can continuously monitor mode of flight, altitude, ground speed, distance, camera status, GPS position, and battery voltage. 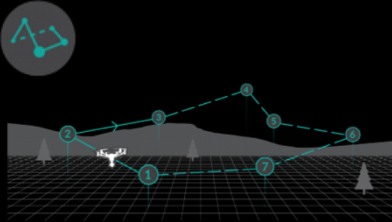 designating waypoint after which it will be flying Dron, you can set them at a specific height, and program the desired actions to be performed when the drone will be at a given point, for example. Preset in a desired direction and angle. Geomapowanie with the help of H520 generates reliable and precise information about the landscape and buildings under the drone. 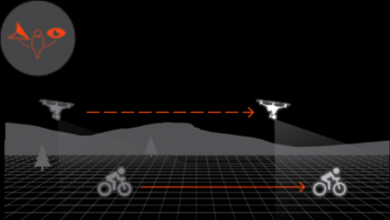 You can also choose whether or drone is moving in a straight line, or may round route, as is the mode Cable Cam Curve. Moreover, the operator can program a set speed drone (up to 30 km / h). After completing the task drones can wylądowć, return to the starting job or start anew. Give free rein to your creativity allowing H520 perform autonomous maneuvers, while you focus on the handling of the camera. H520 years after the circular trajectory around you, directing the camera on you all the time. Select a point and H520 will autonomously circled around him. Determine the route along which the H520 has to fly. Dron will be guided by the points set by you, by directing the camera as it is programmed, or allowing you to control the camera live. This mode ensures that the H520 will move with you. Watch Me mode, you will also always directed the camera towards you. Just flip the mode switch to flight mode Return Home, H520 and autonomously return to your lands and about 8 meters from where you are.